The Childrens Clinic | Allergy Center, Christchurch specialsises in investigating eczema/atopic dermatitis for food allergy. Why has your child got eczema? It’s not fair! No one wants to have eczema. No one wants to have dry, rough, itchy skin. No one wants their face blemished by scars. No one wants to spend half the night scratching. What can you do about it? See if it is a food allergy? Our goal is a cure. We expect these children to have almost perfect skin within a few months of being on an appropriate diet along with applying a few other strategies and treatments to sort out their allergies. A food allergy is a contributing factor in about eight out of ten of these children. This is good news because if you can identify any offending allergy triggers, then your eczema can usually be cured. We expect these children to be able to throw away most of their creams and potions. They will continue to have sensitive skin for a few more years and their skin may still feel a bit dry. However, a cure does not happen every time. Not everyone will respond, but that is our goal. Does your child really have eczema? Eczema is when you have patches of skin that are dry, red, scaly and itchy. It is an inflammation of the skin. In children it is also given the name “atopic dermatitis” – which means the eczema is associated with some sort of allergy. Sometimes it is called “baby eczema”, or “infantile eczema”. Medical research shows that eczema in children is often caused by some sort of allergic reaction. Most infant eczema is related to allergy. A third of children with atopic dermatitis / eczema have cow’s milk allergy / cow’s milk protein intolerance. “Adverse reactions to cow’s milk proteins are usually indicated as cow’s milk allergy/intolerance (CMPA/CMPI) because no differentiation is possible on the basis of symptoms, and there is no reliable single laboratory test available for the diagnosis of CMPA or CMPI. Elimination and challenge tests for cow’s milk proteins using strict, well-defined diagnostic criteria are required for the diagnosis of CMPA/CMPI. Atopic dermatitis (AD) is one of the most common symptoms of CMPA/CMPI. Approximately one third of AD children have a diagnosis of CMPA/CMPI according to elimination diet and challenge tests, and about 40–50% of children <1 year of age with CMPA/CMPI have AD. We will fully assess you with a focus on identifying the triggers for eczema. Including skin prick tests and often blood tests. Will help you with any elimination diets. We will arrange special cow’s milk free formula. Will help you understand what creams to put on and why – including steroid creams. 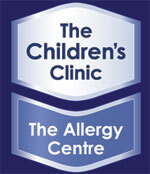 The Childrens Clinic | Allergy Centre, Christchurch.